The KONG Cat Wubba Boa’s enticing feathers delight cats’ playful desires while fulfilling their natural instinctual desires to chase, hunt and capture. The Boa Teaser has the added benefit of the Cat Wubba with rattle and crinkle sounds that delight cats. 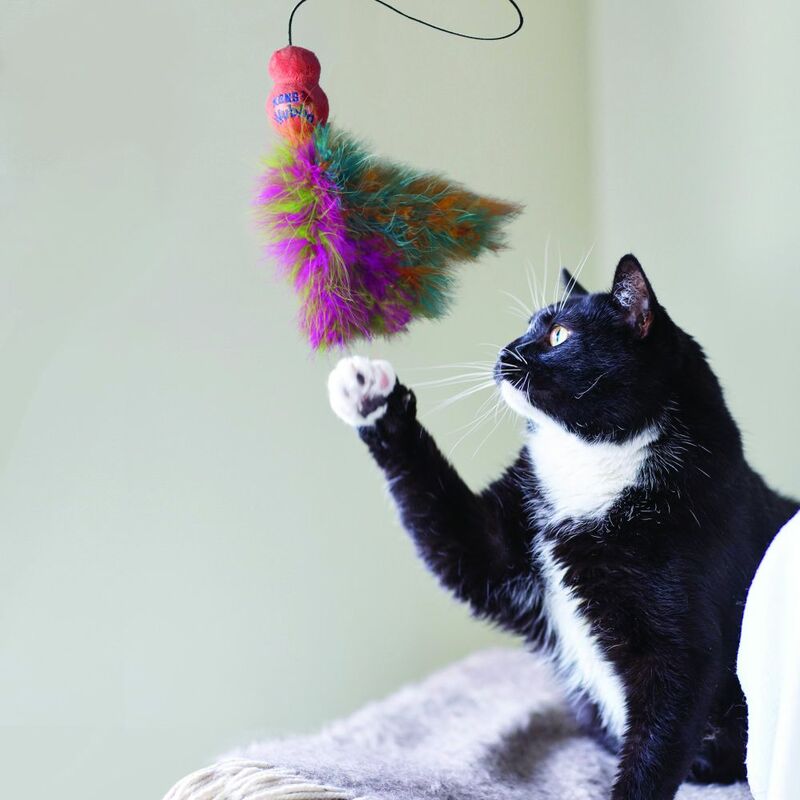 Infused with KONG Premium North American Catnip, these unique toys reward and encourage active play.